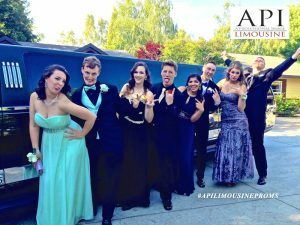 API Limousine is Sacramento premier prom and home coming limousine company. Are you looking for a luxurious and affordable way for you, your date, and your friends to travel on prom night?API is Sacramento’s prom limousine rental specialist. 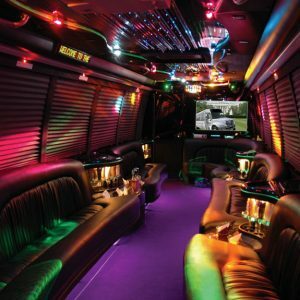 Whether you need luxury ground transportation for two or want to enjoy prom night festivities with a group of friends, API offer Prom limo service and Sacramento party bus rentals. Your prom night is a very special event in your life and you deserve to arrive in style and luxury. We offer sleek, stylish prom limo rentals that will be sure to help you make a grand entrance on one of the biggest nights of your high school career. Don’t get stuck riding with your parents or driving your friend’s clunker when an elegant prom limousine can make your night one to remember. 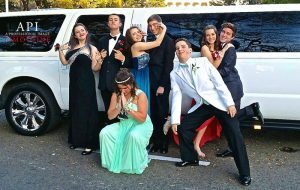 A Sacramento prom limo rental is the perfect way to top off an already unforgettable evening. Our immaculate vehicles are sure to turn heads and make your son or daughter the envy of the other guests. 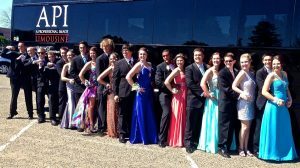 Prom night is going to be remembered for a lifetime, and there is no better way to create lasting memories than a prom limousine with Sacramento Limo Service. A Note on Prom Night Safety: In accordance with California law, API maintains a zero tolerance for drug or alcohol use during prom limo rentals. All guests and parents are required to read and sign our I-promise contract prior to the prom or homecoming nights.